Sarah Wertzberger is an artist and designer with a multidisciplinary studio practice, working primarily across mediums of weaving, ceramics and painting. 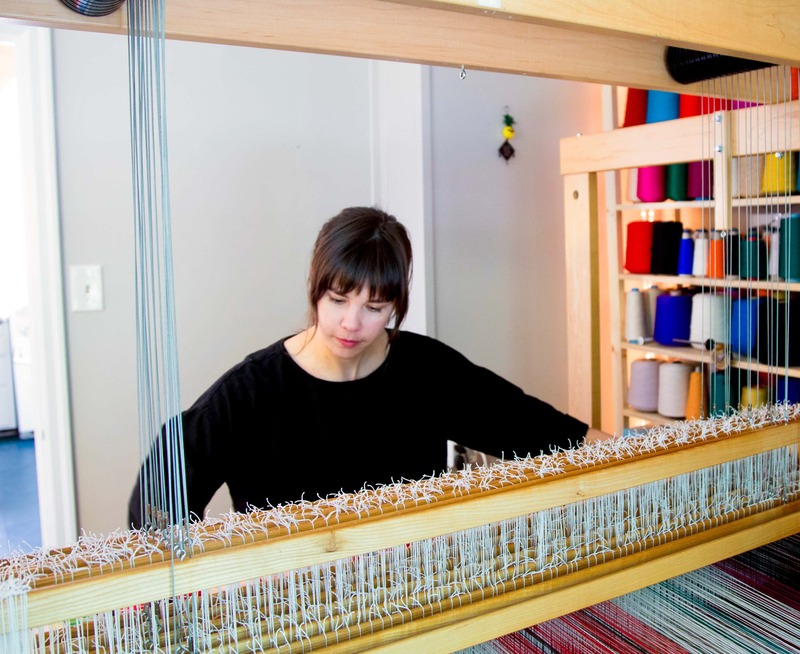 Her weaving practice spans hand, industrial and digital weaving. Her work touches upon the ideas of play, color interaction and the tensions that exist at the intersections of art, design, craft, technology and DIY. Her ongoing investigations into materials and making processes are playful and provisional, with emphasis placed on spontaneity, improvisation and the physical, performative act of making. This responsive way of working allows intuition, color and materials to steer final outcomes, testing material boundaries and revealing traces of the making process itself. Sarah received her MFA in Textiles from Rhode Island School of Design and BFA in Painting from Maryland Institute College of Art. She currently teaches in the Fibers department at The Oregon College of Art and Craft and has textile design studio in Portland, OR.